If you are thinking about moving to virtual desktop and wondering if you will be able to access the desktop via your Apple / IOS device – you have come to the right place. Yes, your virtual desktop will work from a lot of different mobile devices and operating systems. Many of our clients use Apple devices which work great with your virtual desktop. The great thing is all of your normal virtual desktop applications, files, etc. are all accessible as long as you have an internet connection. When might you use it? If you are sitting in a meeting, a cab or waiting for a plane – maybe you need to edit a spreadsheet or send a critical sales document – either way – pull out your droid device – fire up your Cloudworks Virtual Desktop and everything is accessible. If you are using an iPhone – the screen is small and it can be challenging to use a touch screen in that environment. Otherwise, if you are in pinch it will work great. When shouldn’t you use it? When you don’t have internet, driving, on a boat – seriously you are on a boat – stop working, or when the flight attendant tells you to put down electronic devices. Accessing your resources when you are literally on the move is a fantastic feature of Hosted Virtual Desktop. Especially considering that the technology can function on just a 3G cellular signal. Although we would recommend installing the necessary app before you are a passenger in a car heading down the highway and you want to access your virtual desktop using your cellular connection. You can download the Citrix Receiver App from the iTunes App Store here. Once you have downloaded the app, you will need to provide it with your login URL (https://login.cloudworks.com) and your credentials. We also provide you the option of navigating your mobile browser to our login page (same URL) and entering your credentials there. Our login site will automatically utilize the application you installed on your mobile device. This, of course, will only work if you have already downloaded the app from the app store. Do you have questions about what applications already work great on virtual desktops? 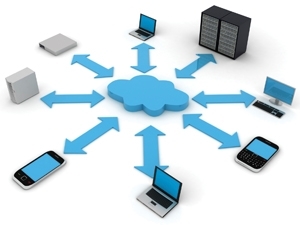 Are you concerned about whether virtual desktop is right for your organization?